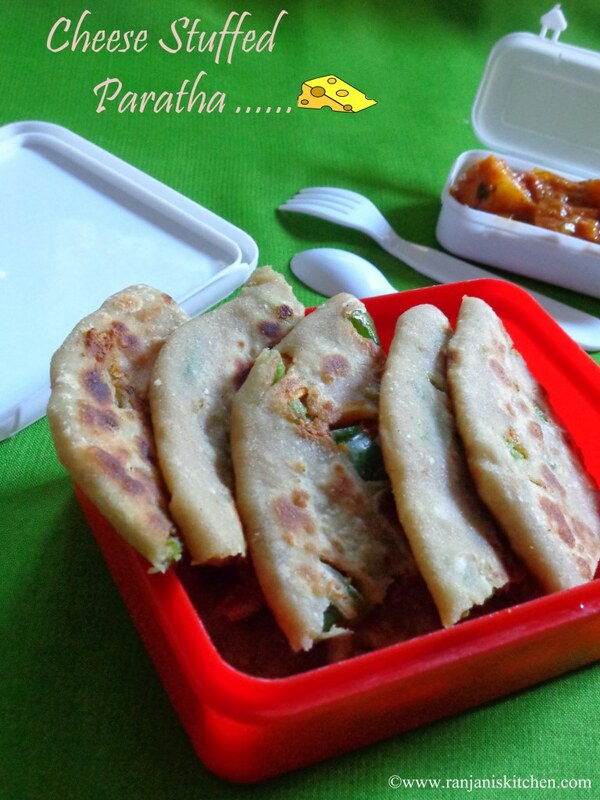 Veg Cheese stuffed paratha – healthy and tasty recipe especially for kids. I prepared this recipe for kids lunch box series in Indusladies. But I went out officially. So didn’t participate in that event 🙁 Thought to share this recipe with you friends. 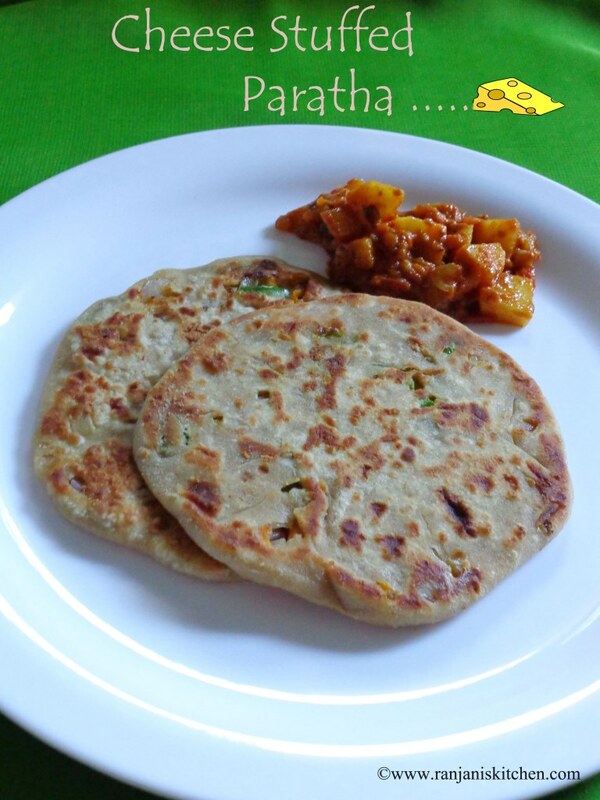 This paratha is really good to have with some spicy curries or some raita’s. Even I can eat without any accompaniments too 🙂 I added chilli flakes and salt in the stuff. So it tastes good. In a wide bowl add wheat flour and salt. Give a slight mix and add water little by little to knead a dough. Make a soft and firm dough and keep aside closed. Now prepare a stuff for paratha. Chop onions, capsicum,carrot and cheese. Mix all together in a bowl.Then add little salt, chilli flakes and chat masala mix well and keep aside. Now pinch a small portion and make equal sized balls. Roll as medium level chappathi’s using rolling pin. Place 2 spoons of stuff prepared using veggies and cheese. Just cover with dough on top side and make as a ball with stuffs inside. Again roll it to medium sized parathas. Meanwhile heat a tawa or dosa pan to roast parathas. Once the tawa gets heated, place parathas and add some oil. Keep the flame in medium and roast paratha’s on both side. Do the same for remaining dough. Serve with veg or Non-Veg hot curries. Instead of water , you can use milk also to make the dough. Adding chat masala is optional. If you don’t like the aroma in paratha you can omit it. Very tatsy n healthy paratha !! 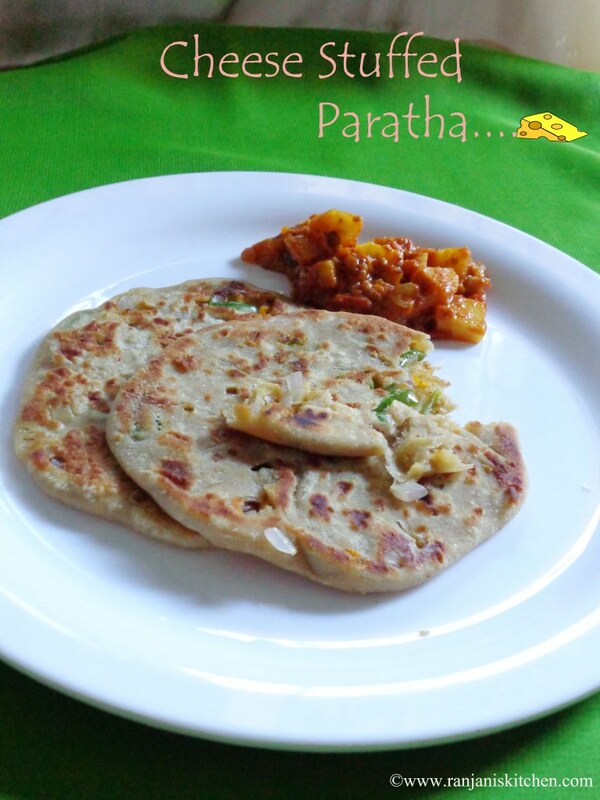 Paratha looks very tatsy n healthy ! !